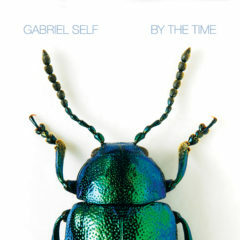 After having released the singles ‘In A Bubble’ and ‘Going Places’ in these past few weeks, today Gabriel Self releases his new album ‘By the Time’. The London born, Holland based singer songwriter started releasing his first music back in 2011(including a collaboration with electro producer Dem Slackers) after which his style was described by the media as ”Harmonious like the Beatles and as diverse as Beck”. His newest album ‘By the Time’ contains eleven catchy pop songs ranging from the laid-back vibes on tracks like ‘Number One’ and title track ‘By The Time’ to the uptempo grooves of the single ‘In a Bubble’. All with the smooth harmonies and hip hop backbone Gabriel is know for. The full album is now available on all online music services. Check it out!